Here we are at the end of our 4-part PicMonkey series. Today we are covering how to create a graphic or printable from scratch- totally free and 100% custom made to your fit your needs! First you will need to create a Blank White Starter Image. If creating graphics is something that you will be doing with any regularity I suggest creating this image and saving it to your computer instead of recreating it every time you need to make a graphic. You are basically going to use a white Overlay to cover up a picture. This will become your Blank White Starter Image. You can use any photo but I would suggest that you start with a picture with a high resolution so that your final image isn’t blurry when you try to upload the graphic to your blog or website. Upload any image you want. I snapped a picture of my son’s room and used that. Go to the 5th tier down on the left sidebar and select the Overlay menu (it looks like 3 stickers/badges). Drag the corner of the rectangle to cover up your entire photo. Click on the Overlay and change the color to white (either by dragging the color selector to the upper left corner or by typing FFFFFF in the upper right box). Save your Basic White Starter image to your computer! Check the dimentions and be sure the quality is high. Or save as a PNG file. 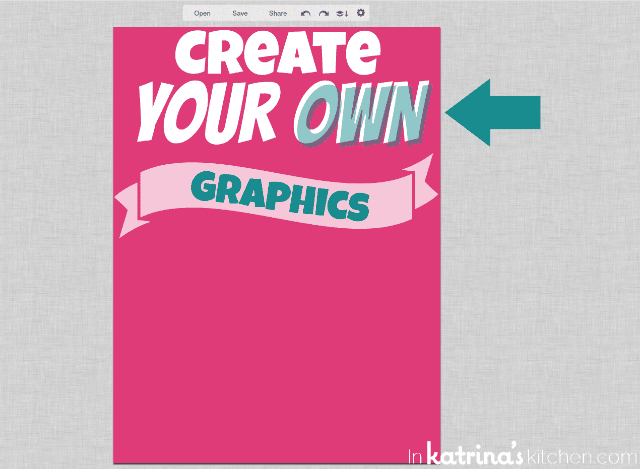 When you want to make a new graphic you just need to open PicMonkey and choose Edit Photo. Choose your Blank White Starter Image and go from there. You can Insert Text, use Overlays, Textures, etc. The possibilities are endless. Here I opened up my Starter Image and covered it with an Overlay which I then changed the color to pink. INSIDER TIP: After each layer that you add to your image be sure to use the Merge Layers button at the top of the screen. It looks like papers being stacked on top of one another. This is especially helpful when you are adding text on top of an Overlay for example. Also notice the undo and redo arrows along the top as well. Also take note of the gear to the far right. I always work with my photos in the largest size. Here is an explanation from PicMonkey about best photo sizes for printing. Speaking of Textures- we didn’t cover that in this series of tutorials but I hope you play around with them. Look along the left toolbar and click the 7th tier down. This will bring you to tons of Textures that you can add to your graphics or photos. INSIDER TIP: Bring up the menu again by right clicking (or control +click) and select Send to Back. This is a helpful tip when you are adding layers of Overlays and Text. Can you see how it sent the teal text behind the white text? 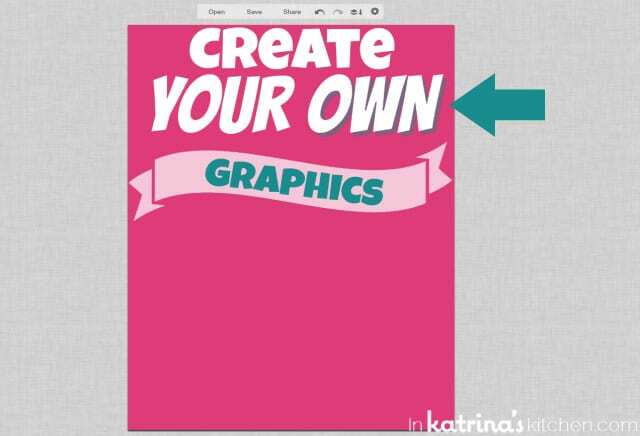 Have fun creating your own graphics and printables! As always I invite you to leave questions in the comment section. Chances are if something is not clear to you someone else will have the same question. 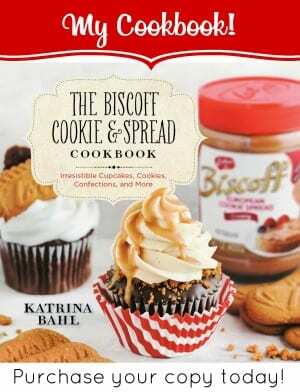 This is awesome, Katrina! 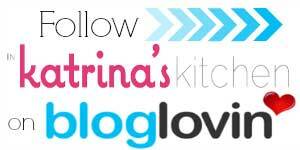 Thanks so much for these awesome posts, Katrina. This is SO helpful. So grateful for this series! Hey Hunny, the quality on the graphics wont be good enough to print and not pixelate, as these graphics will save out at 72dpi and most high quality need to be at least 150dpi or ideally 300dpi. 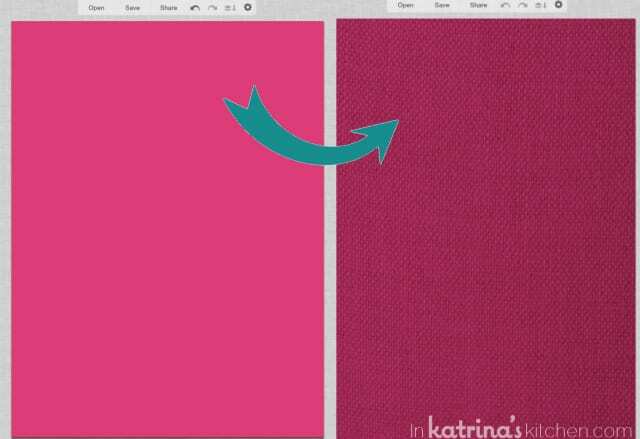 You need to be using something like Photoshop where you can alter the resolution of your canvas for printables. Hello Nicola. Thank you for stopping by! I have never had a pixelization issue printing up to 8×10 with PicMonkey. I understand where you are coming from- and there are limits to an online photo editor (no RAW files, etc.) however I think many people can use PicMonkey to create reasonably sized photos and graphics with no problems. I’m not *against* Photoshop; I’m just not of the opinion that everyone needs it. I always work with my photos in the largest size. And here is an explanation from PicMonkey about best photo sizes for printing. I’ve had great success creating and printing Christmas cards, gift tags, cupcake toppers, and Valentines in fact! Thanks again for reading and taking the time to comment. I love hearing from you. Oh how cool! AND EASY! Thanks SO much for sharing, Katrina! wow, girl! You’ve gotten so good at this. I keep meaning to read all of your tutorials because your stuff is…awesome! Love this one!! I already have something in mind that this will be so helpful for – Thanks! Great tutorial! 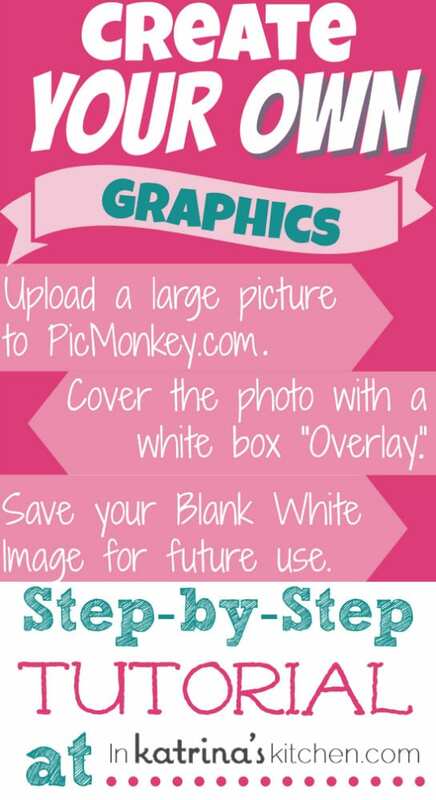 I use PicMonkey for graphics all the time, and I was so sad when the custom overlay feature became a paid feature. Bummer! You’ve created some great graphics! Hey Jen- the Custom Overlaqy Feature is free! I tried to make sure that everything I showed in this tutorial was available for free without paying for a Royale upgrade. Have fun creating! 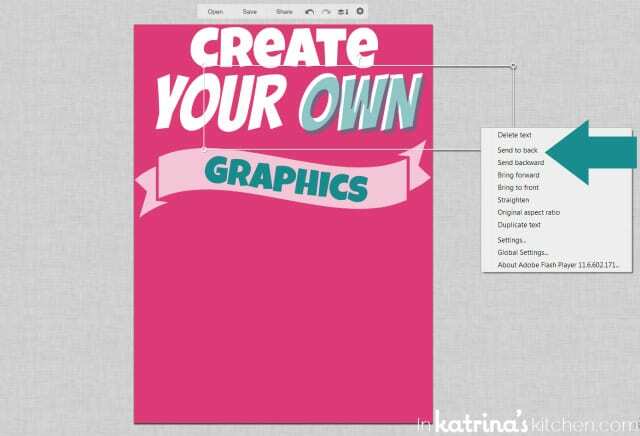 PicMonkey is the best and creating graphics is so easy–great tutorial and really, great series! 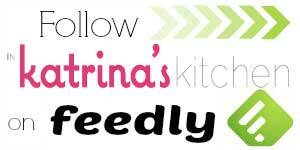 Awesome series of tutorials, Katrina! Thanks for “over”laying it out, especially for us PicMonkey newbies. I’ve been playing around with PicMonkey for awhile now, but your tutorial is totally amazing and will no doubt boost my use and understanding of it to a new level. Thank you so much!!!! THANK YOU!!!!!! Fabulous tutorial for a newbie blogger! You are a life-saver!! Thank you for this tutorial. I can’t wait to get started! 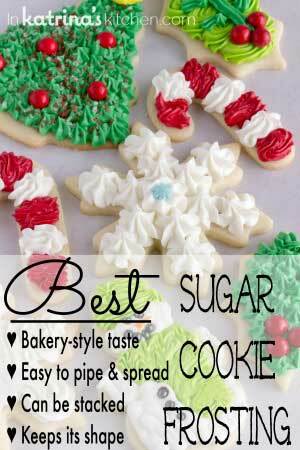 You are one smart cookie! Thank you so much for this tutorial. I was just about to go use Pixlr but decided to do a search one more time and here I am! Thank you, thank you again for such a great awesome info!! Hello, thank you for your post! I love PicMonkey and use it all the time for my blog. I can’t seem to find the answer anywhere on the internet, so because you’re more familiar with it, I thought you might know. Is it legal to use one of PicMonkey’s “graphics” like the drawn flowers, smiley faces, etc. on a blog’s public banner? I inserted one of their flowers in the middle of my banner and it looks adorable, but upon second thought I wondered if that was legal under their terms and conditions. Your answer would be of so much help! Thanks. Instead of putting a big square over a picture, I’ve saved a blank file in paint. I can open it in pimonkey and resize to fit my needs. That’s great! Just be careful with the file size- you want a good quality so the final graphic isn’t grainy. Thanks for stopping by! I finally subscribed to the paid version because I wanted to have all the options. This post is SO helpful. Thank you! You will love it! I know I do. Let me know if you need any help. There are LOTS of cool things you can do with the paid version. I googled how to create printables and you were the second thing that popped up. I am in love with your site. 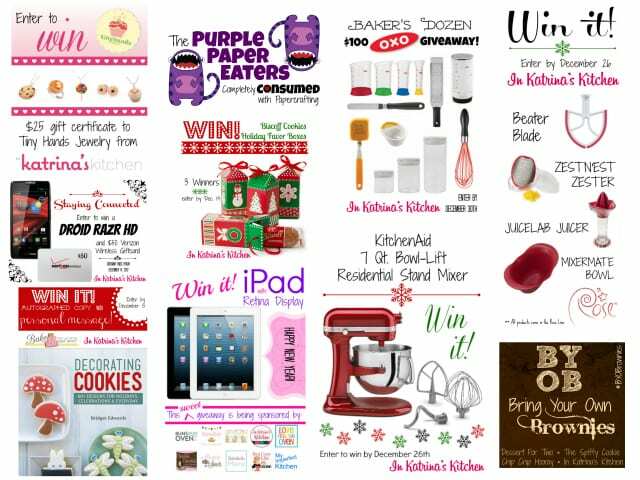 I came on here to find printables and now I have about 3 different tabs open with recipes and other great things! 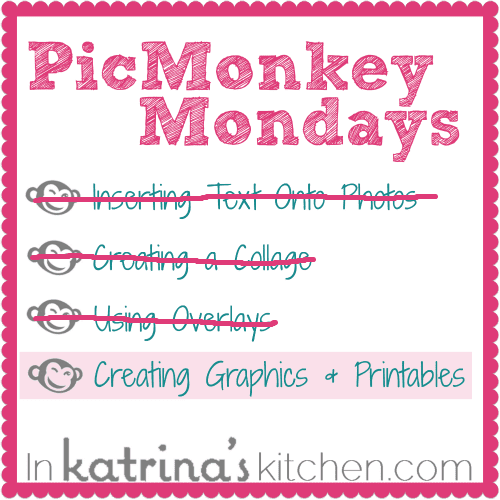 Great PicMonkey series you are doing! I’m always in such a hurry when I do my pics that I need to slow down and play a little to learn more fun STUFF do with it! Thank you! Great tutorial! I love using picmonkey to create text graphics like this! I’ve recently noticed that when I post them on my blog the white background of the graphic created is a few shades darker than the background on the website (for example -the entire image of the created text image shows darker than the white background of the blog post background) where it once appeared virtually transparent when using a white background for text images. Have you observed this? Any tips?? I am having trouble with saving images. I always select to save the image at the highest file setting offered, but when I upload to Facebook the images look blurry. Can you please advise on how to save these pictures and upload them without them looking blurry? Hi, I just created my own Christmas card 4×6. With the pretty white snowflake border etc and some snowflake layers. But when I just sent it to walmart 1 hour photo, the pure white turned out grey. This is not good. Can tell me why that happened ? Thank you so much for this series! These posts are really helpful for someone who has just started blogging and knows next to nothing about using editing software like this. I can’t believe the versatility picmonkey has! 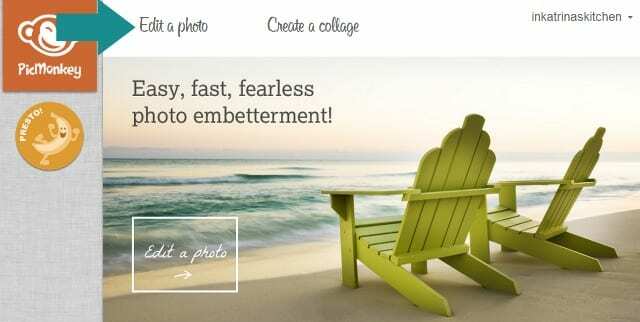 You will love PicMonkey. It is so user-friendly. Thanks for reading! I love PicMonkey, too. However, when I create images on a blank canvas, the final product appears blurry when I upload it. I need my images to be sharp so what am I doing wrong? I love pic monkey too, but am having a problem with the text resolution. My text does not come out as high-res. as my pictures, and so looks a tad blurry in contrast. Does this happen to you? Any fixes? 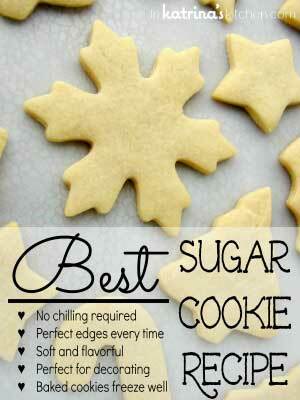 I am very new to blogging and I love these tutorials on picmonkey! I have been trying to create similar graphics in MS Word without much luck, then I figured there had to be an easier way. All the better that it’s possible to do for free! I also love the look of your blog. I was wondering how you made the social media icons at the bottom of your page? I love that they are pink and sparkly. I’ve been trying to figure out how to make similar icons and put them on my blog, but I haven’t had any luck. Hi Rachel! Thanks for stopping by. I hope you will enjoy making graphics on PicMonkey. As far as my design you an find a link in the bottom right hand side of my footer to Purr design who did my website. You are soooooo awesome. This is my first attempt at creating graphics using pic monkey. I would create am image and save it. Then you can replicate it as many times as you want. This is awesome post .Thanks for sharing. Hi, I have a question. If I want my printable to fit an 8 1/2 by 11 sheet of paper when I print what size should my white starter picture be? Hi, I am an avid picmonkey user and love it…..question the text looks so pretty and clear then when it is actually printed it looks a bit blurry? do you have that problem? any suggestions for that?? Thanks! !